16" Choker length finished chain. 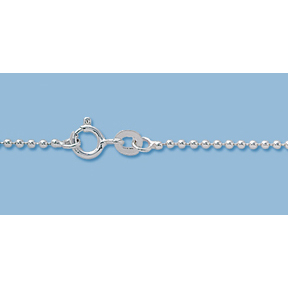 Sterling Silver, Ball Chain 1.5mm, 16 inch. Spring Ring clasp.